So glad you could join us here! 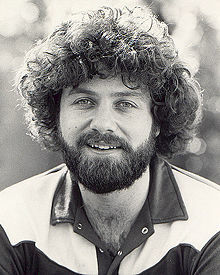 At the 25th anniversary of Keith Green’s death, my late husband Wayne Dillard pulled together this site for you and me. He felt it would be awesome to have a small forum, to share our own stories of how Keith impacted our journey. As for me, it’s been amazing to meet people in some of the far-flung places of the world, who have approached me because my late husband and I worked so close with Keith. And even more stunning to find folks who not only were impacted by Keith’s message but got hooked into the great commission adventure. I’ve personally met people in Kashmir, Rishikesh, Delhi, and the Middle East and more. If you are at this site, you will have your own story of how Keith’s ministry marked you. Why not take a few minutes to share the fire of your testimony with us? Here are 25 things you might not know about Keith. Check out the testimonies too. And let us hear from YOU! Together let’s, ‘fan into flame the gift of God, which is in you’. Powered by WordPress v 5.1.1. Page in 0.189 seconds.